Every once in a while, a book comes along that redefines the genre. This special edition of ALOE VERA / The New Millennium is such a work. In it you will find a wellness wellsource of new breakthroughs in Aloe Vera research and technology from the last thirty years. AIDS, Cancer and the Aloe Answer. How Aloe Vera has broken through to these persistent dragons of world health. New Paradigms in Personal Care. 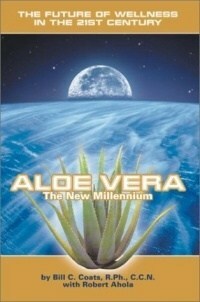 What bold news inroads Aloe Vera has made in cosmetology, skin care, aesthetics and plastic surgery. Millennium Veterinary Breakthroughs. How many modern vets are using Aloe Vera to help our creature companions, both large and small. Personal perspectives by the man who is acknowledged worldwide as the "father of modern Aloe Vera." If you could have five complete wellness guidebooks for the next dozen years, this should be one of them.